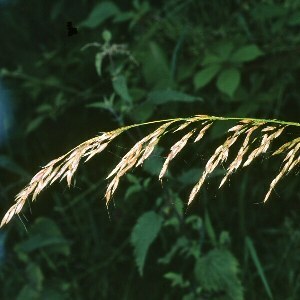 This tall, conspicuous wild native grass has flowers similar in appearance to those of oats (but smaller). 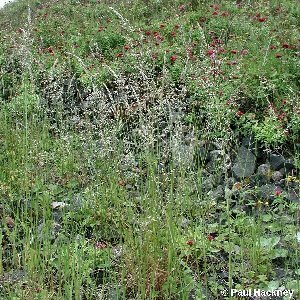 It is very common in a variety of grassy habitats. There are two subspecies or varieties: one has swollen bases to the main shoots, like small onion bulbs, and is sometimes called 'onion couch'; the other lacks these swellings. Both varieties appear to be equally abundant in Northern Ireland.